Due to its flexibility and speed, Git has become popular with individual developers, and small enterprises and workgroups. For most enterprises however, effective management of Git is a challenge. 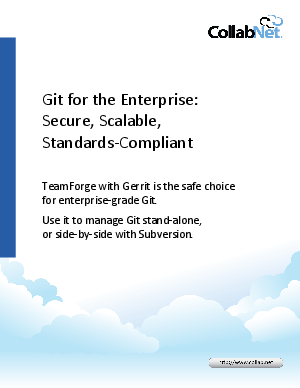 Discover technical innovations and emerging best practices now provide additional options to manage Git in the enterprise.